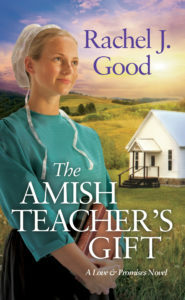 My Thoughts "The Amish Teacher's Gift" is the first book in a new series by Rachel J. Good and I was excited to be able to read this book. I found the book flowed well and was well written. I liked the characters and felt frustrated for them when events seemed to conspire against them. My heart ached for Josiah and his desire to be close to his son and for Ada and how she had to be 'mother' and 'father' instead of 'sister'. The subject of a special needs school in an Amish community was fascinating and I enjoyed learning more about it. I look forward to reading the other books in the series. 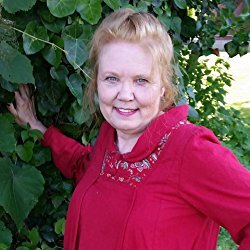 Rachel is the author of several Amish series in print or forthcoming – Sisters & Friends series, Love & Promises series, and two books in the Hearts of Amish Country series – as well as the Amish Quilts Coloring Booksand the contemporary novella, Angels Unaware, part of the Hope Chapel series. In addition, she has stories in the anthologies Springs of Love and Love’s Thankful Heart. I got a free copy of this book. All thoughts and opinions are my own and given voluntarily. No compensation was received for this review. What a great giveaway. 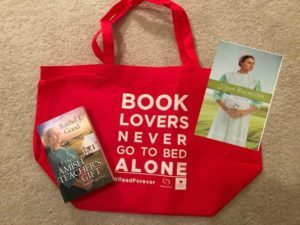 I love that tote bag!